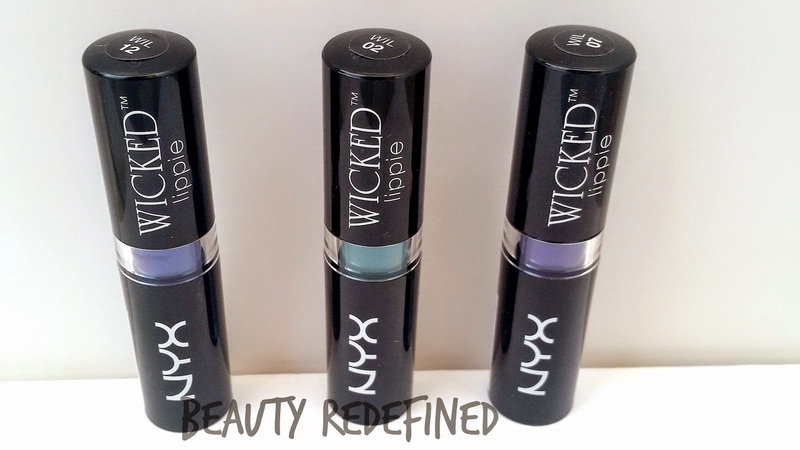 Today, I am going to share NYX wicked lippies. Although, I don't actually wear such Lip colors but I always believe in Trying new and crazy stuff. There is nothing bad in it !! Right ? 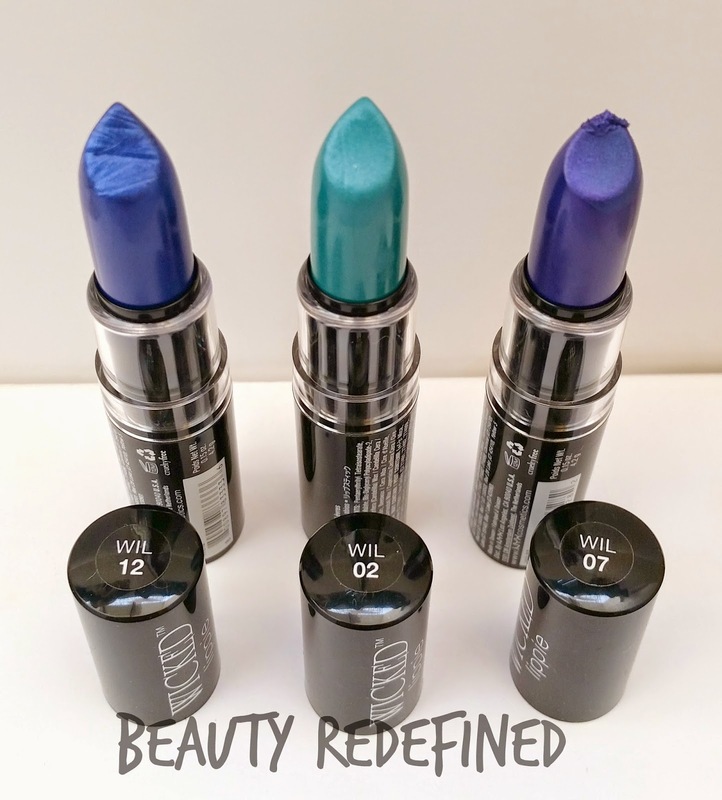 What It Is : A set of jewel-toned, metallic lipsticks available in 12 shades. 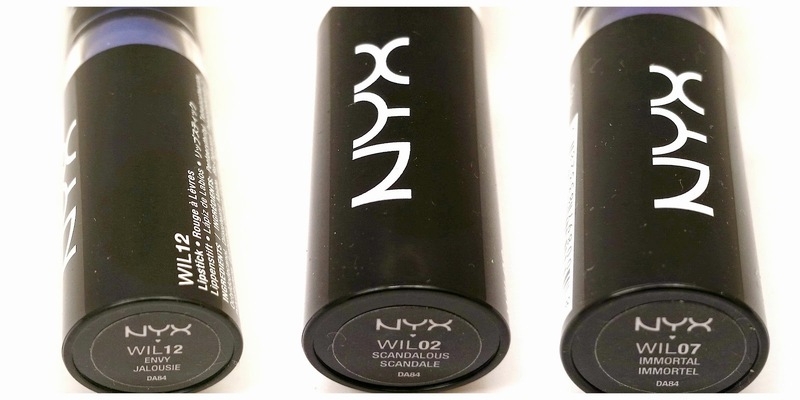 What It Does : Gives lips a medium to full coverage edgy pop of color with an enchanting metallic finish. Why we Love it : These lipsticks come in a variety of stunning shades that instantly add drama to any look. How to Use : Apply lipstick directly onto lips or use a lip brush for precision along the lip line. 1. 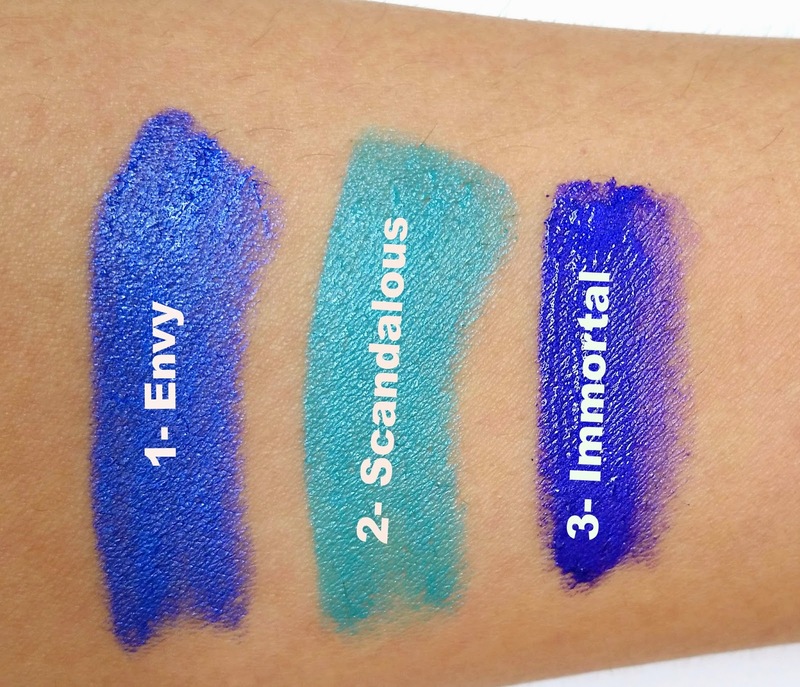 SCANDALOUS : Teal with Silver Shimmer. 2. IMMORTAL : Bright Purple with Purple Shimmer. 3. 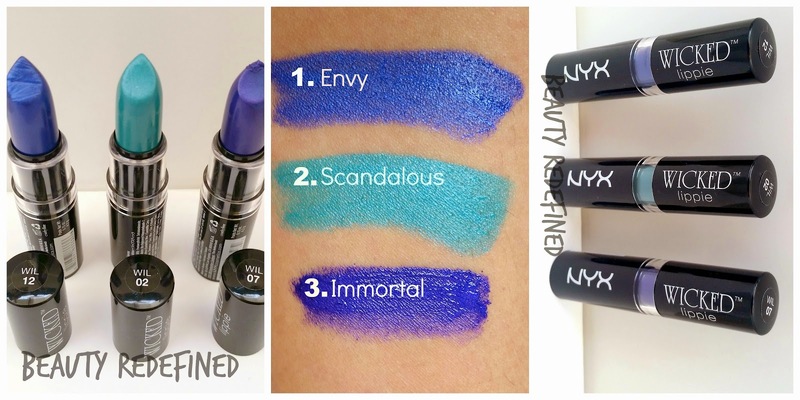 ENVY : Royal Metallic Blue with Silver Shimmer. What do you think of theses colors ? Do you go for such shades ? Should I Try more from this range ? Not something I would wear but they are amazing in a wicked way. Wow! Crazy colors :D i'd never be able to pull them off. How do u intend to wear them? Will u mix n match with other shades? Wow such bold shades, I don't think I could pull it off!